HTS Security installs and services security systems in Minneapolis, MN. We service the entire Twin Cities and surrounding areas, as well as western Wisconsin. HTS offers basic to sophisticated alarm systems, camera/surveillance systems and access control. Minneapolis, nicknamed “City of Lakes” and the “Mill City,” is the county seat of Hennepin County, the largest city in the state of Minnesota, and the 48th largest in the United States. Its name is attributed to the city’s first schoolteacher, who combined mni, a Dakota Sioux word for water, and polis, the Greek word for city. As of 2011, the estimated population of the city of Minneapolis is 387,753. Minneapolis lies on both banks of the Mississippi River, just north of the river’s confluence with the Minnesota River, and adjoins Saint Paul, the state’s capital. Known as the Twin Cities, Minneapolis–Saint Paul is the 16th-largest metropolitan area in the U.S., with the area containing approximately 3.3 million residents. The city is abundantly rich in water, with twenty lakes and wetlands, the Mississippi River, creeks and waterfalls, many connected by parkways in the Chain of Lakes and the Grand Rounds National Scenic Byway. Among cities of similar densities, Minneapolis has the most dedicated parkland. It was once the world’s flour milling capital and a hub for timber, and today is the primary business center between Chicago and Seattle, with Minneapolis proper containing the fifth highest concentration of Fortune 500 companies. This email is not monitored 24 hours a day. If you need a police officer, call 9-1-1. 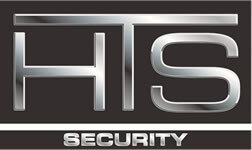 HTS Security installs and services security systems in Minnesota and Wisconsin. We service the entire Twin Cities and surrounding areas, as well as western Wisconsin. HTS offers basic to sophisticated alarm systems, camera/surveillance systems and access control.